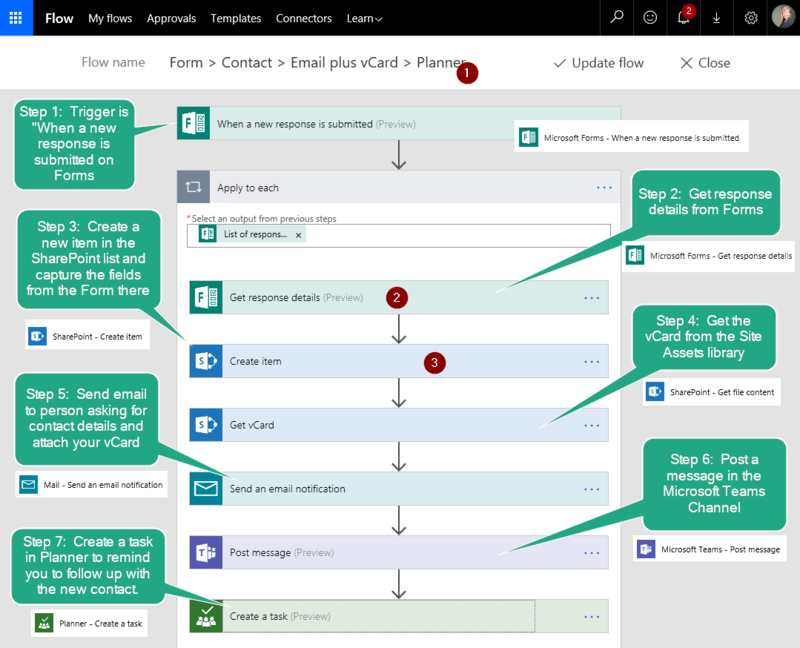 #Microsoft365 #Office365 Recently I published a blog on “Capture leads and contacts with Forms, Flow and SharePoint”. I knew I would want to update it and I got an overwhelming response on social media with some really cool suggestions, questions AND help. So here goes. 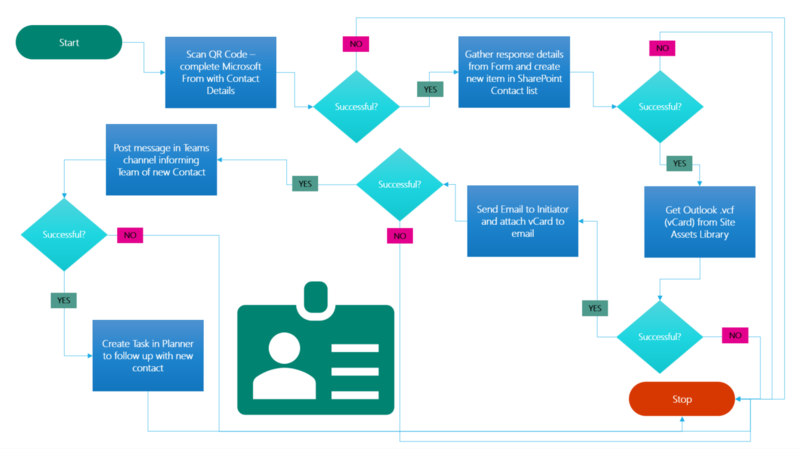 In this iteration I’ve added a vCard to be sent to the person completing their details as well as a task that gets created in Planner to remind me to follow up with them. 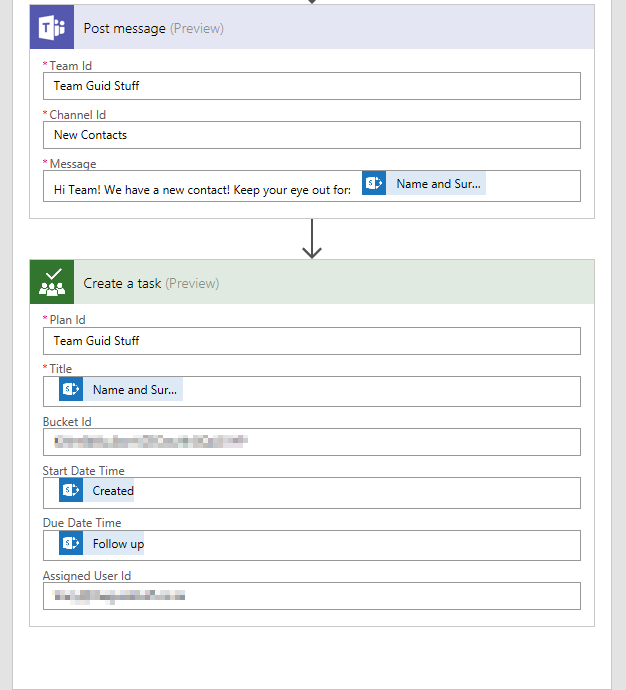 A message is also posted in the relevant Teams channel to notify the team of the new contact. The motivation behind creating this app was my recent attendance at the #MSTechSummit in Cape Town. So many people asked my business card – and I’m adamant, I’m not carrying those little white paper elephants around with me anymore. 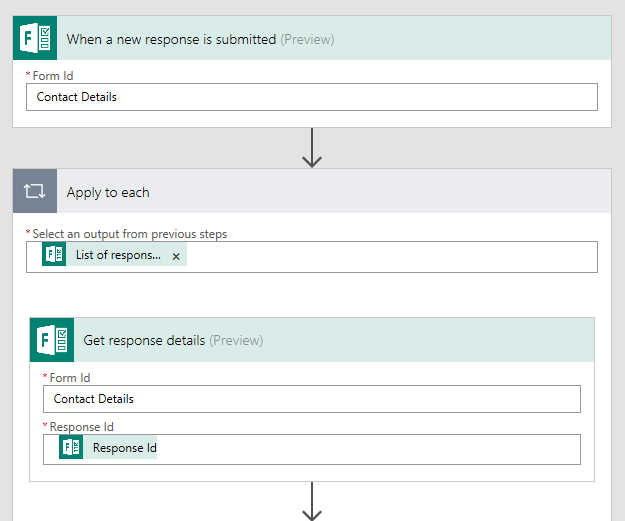 I then created an app which included a Microsoft Form that is filled in with the person’s details who is asking my contact details. 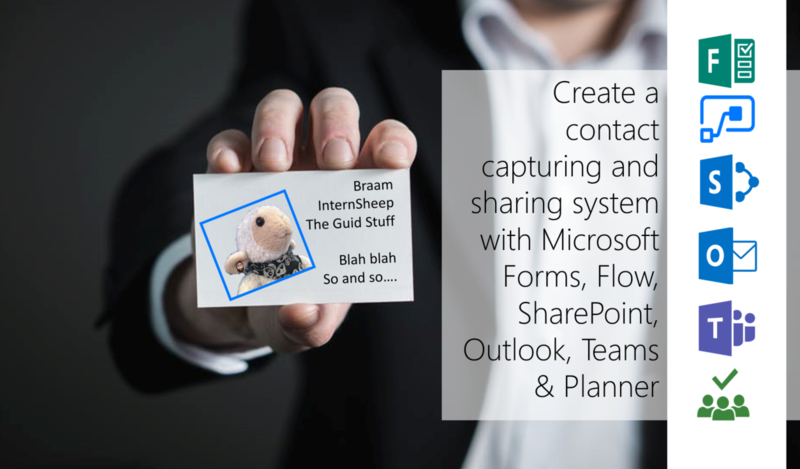 It then logs it in a SharePoint list for me, after which it mails them with my ‘text’ contact details in a mail. 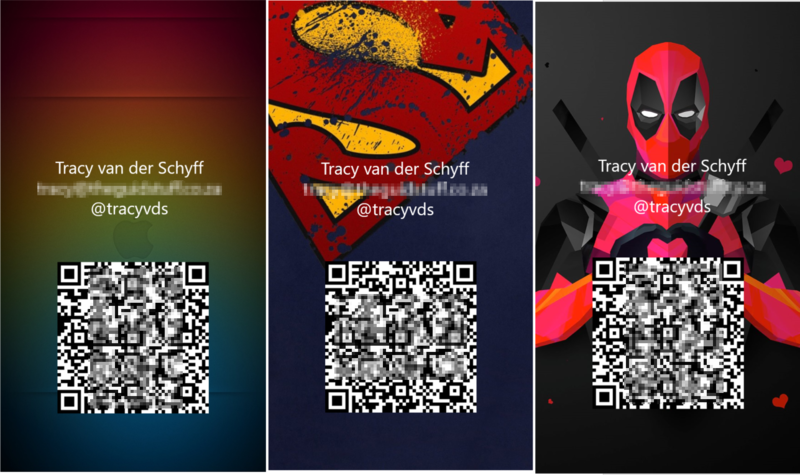 I brought all this together with Flow and then created a screen lock image (with QR code) for my iPhone which people could scan to fill the form in. Voila! 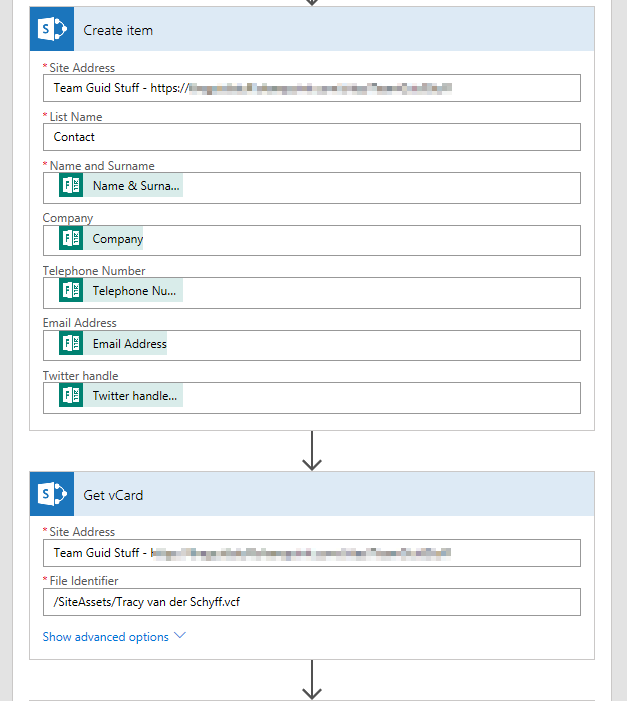 Joanne Klein – @JoanneCKlein inspired me to change the app to send a .vcf outlook contact card back. In her own words: “Yes. I guess in that way it’s automated for me, not so much for them. 🙂” That made me think about how I could make it better for the receiver to also capture my contact details. 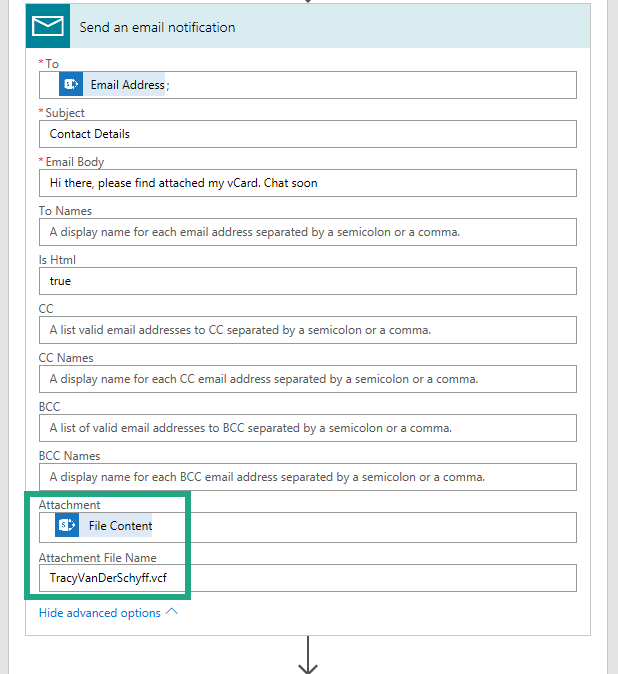 So in round two I wanted the email to attach a .vcf contact card, log a task in Planner for me to follow up with them and post a message in the relevant Microsoft Team channel. Now the posting in the Teams channel isn’t really important to me, cause let’s face it, it’s just me and #Braam the #InternSheep – but I thought it could be a cool addition if you used this for your Marketing team? Yes, the blocks in between aren’t really yes/no conditions, but it helps to show you how the steps flow. If the workflow fails at any of these steps it will not proceed. In Flow I created a Flow from a blank template. Below you can see an overview of the steps I added. It’s important to give your Flow (1) a good name as well as the different actions (2, 3 etc.) should be renamed. For example, Step 4’s Action name is “Get file Content”, I’ve renamed this to Get vCard. This helps when you troubleshoot and to clearly identify your process. Hope you have as much fun with your project as I did building and figuring things out. 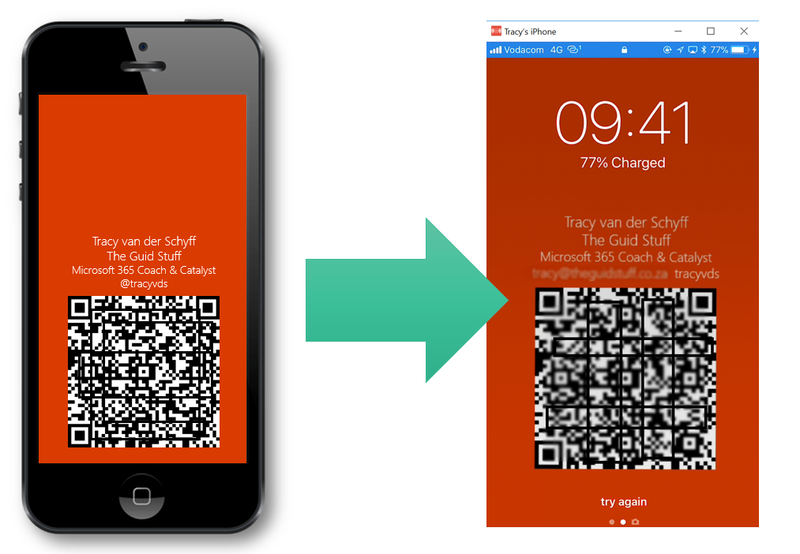 I have been working on a powerapp inspired by this. The app shows a traditional business card with data pulled from the users profile. This is for photographing if people are in a hurry or a snapshot and share it. Made a setting / switches options to customise the amount of data you display on the card too. Added another screen just to input the persons email address and it sends them an email with you contact details (html so good for formatting). Also a link in the email to the form to fill in. Additional screen build in progress to capture the data if you are offline. I need to optimise this for offline purposes and performance. My first real powerapp. Great learning experience. Thanks for the inspiration Tracy.